Home > Blog > Lights. . .Camera. . .Action!! Lights. . .Camera. . .Action!! Behind the scenes of any movie, insurance is the Great and Powerful Oz! It's true. . .insurance protects against the loss of life, limb and livelihood of everyone on the set, the intellectual property of the writers and the director, the potential liability of location shoots, and the substantial investments of the producers. BUT. . .Have you seen any movies where insurance is an inherent part of the plot? 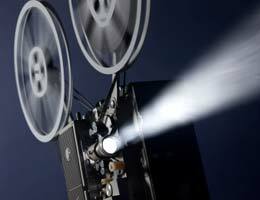 Granted, that seems highly unlikely, but we'll mention a few movies where insurance is a major player in the story. (And our special thanks to www.bankrate.com for supplying the information!) How many of these films have you seen? THE APARTMENT. Who hasn't seen this 1960 classic? 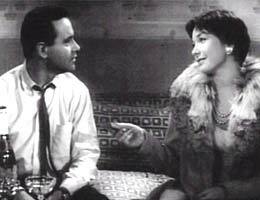 Jack Lemmon plays an up and coming insurance executive whose boss (Fred MacMurray) is using his apartment for amorous trysts with an attractive elevator operator (Shirley MacLaine). As the movie unfolds, things do get very complicated! GROUNDHOG DAY. 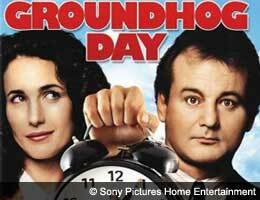 Released in 1993, this is the story of a curmudgeonly TV weatherman (Bill Murray) who hates his annual obligation to cover the events of every February 2nd. . .until he matches wits with his headstrong news producer (Andie MacDowell). So where does insurance come in? Via the weatherman's recurring sidewalk reunion with his nerdy former high school classmate (Stephen Tobolowsky), now a diehard insurance agent. THE RAINMAKER (1997). Based on John Grisham's bestselling novel, this is the story of a wet-behind-the-ears lawyer (Matt Damon) who takes on a giant insurance company that has denied a claim for a bone marrow transplant for a terminal young patient. The attorney is assisted by an ethically-challenged partner (Danny DeVito). 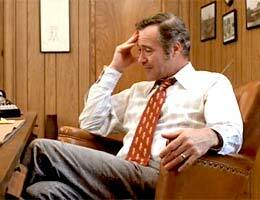 Two antagonists include the insurance company's lead attorney (a smug Jon Voight) and its heartless CEO (Roy Scheider). For fans of tense courtroom drama, 'The Rainmaker' is about as good as it gets! SAVE THE TIGER (1973). Jack Lemmon is back, this time as a down-on-his-luck businessman who, in the throes of desperation, conspires with an arsonist to torch his San Diego warehouse for the insurance money. Lemmon won an Oscar for his chilling performance. CEDAR RAPIDS (2011). 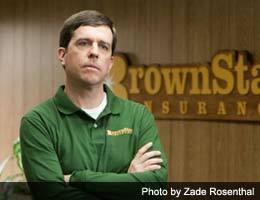 This is the charming story of a small-town Iowa insurance agent (Ed Helms) who finally lets down his hair at a Cedar Rapids. . .insurance convention! Two insurance veterans (John C. Reilly and Anne Heche) are willing accomplices in the hysterical corruption process. Over the course of a whirlwind week in Cedar Rapids, the young agent learns he can make an honest living without selling his soul. If you haven't seen this entertaining sleeper, by all means give it a go. You'll be in for quite the treat! Insurance in the movies. Turns out it can be a terrific combination!